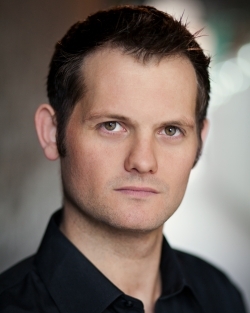 Ross Leadbeater is a musical director, conductor, pianist, singer and vocal coach who studied English at University of Warwick and trained in piano, voice and conducting at Trinity College of Music. Theatre credits include: Musical Supervisor for Ivor Novello's Gay's the Word (Jermyn Street Theatre); Musical Director for Ivor Novello and the Great British Musical (St James Theatre), Talent 2012 (Garrick Theatre), West-End Eurovision 2012 - Phantom of the Opera (Dominion Theatre) Call Me Madam (Union Theatre) and Betwixt! (Trafalgar Studios). Other credits include: rehearsal pianist for South Pacific (Barbican Centre and UK Tour), Legally Blonde (UK Tour) and Keys 2 for Alladin (Bristol Hippodrome). Repetiteur for The Mikado and HMS Pinafore (Buxton Opera House) for the International Festival of Gilbert & Sullivan, The Sorcerer and Trial by Jury (San Bartolome Theatre, Lanzarote) and the first professional revival of The Grand Duke (Finborough Theatre). Television credits include: Boom Town, Last Choir Standing, The Classical Brit Awards, The Royal Variety Show 2008, Children in Need, Proms in the Park, Songs of Praise, This Morning and GMTV. Ross also works as an audition pianist and repertoire vocal coach at various London drama colleges including GSA, Mountview Theatre Arts, London Studio Centre and as vocal animateur for Welsh National Opera MAX Department.